Last Friday I was awoken by my six year-old, Oliver, announcing there was something I must see outside on the lawn. Thankfully, what he thought was snow was actually a nice, white layer of frost which melted away by the time breakfast had been consumed. However, this incident, combined with ordering my children’s matching Christmas pajamas later that day, (which Nick is a bit over with at this point! ), the impending arrival of Winter has begun to sink in. Thankfully, we have a few more Autumn holidays to celebrate before we start decking the halls! 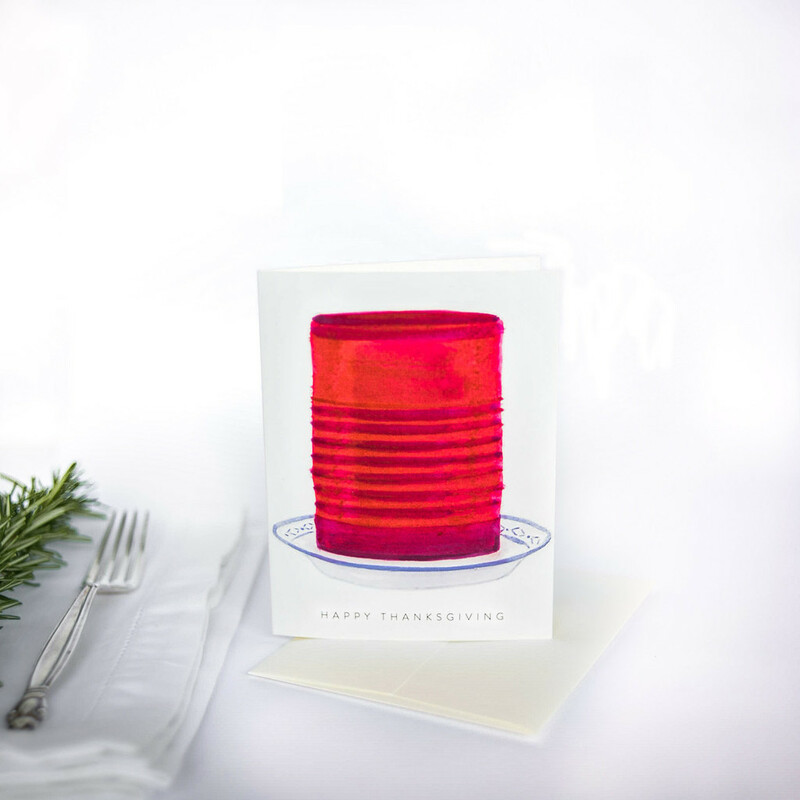 All Holiday paper goods are now in the store – Perfect time to stock up on tags, cards and more! Stay tuned for Holiday Pop-Up Shops in the Twin Cities next month. Such a goodness around town! 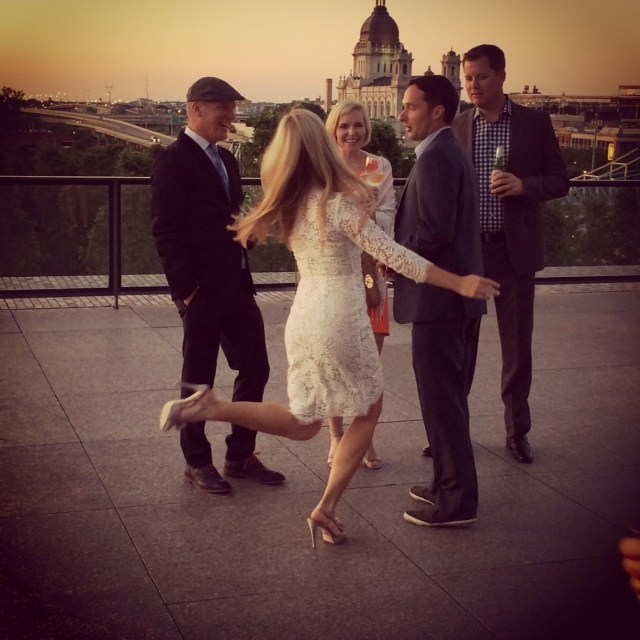 I love late Summer weddings. 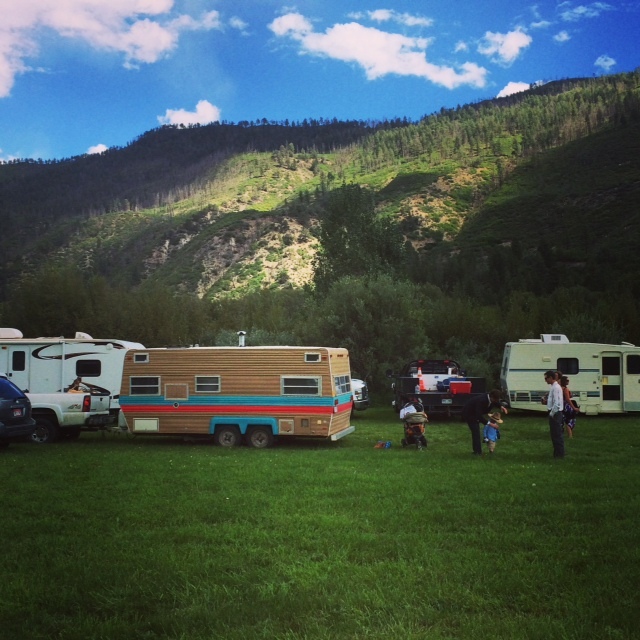 After just returning from a knock-out family wedding in Durango, Colorado this past weekend, (i.e. 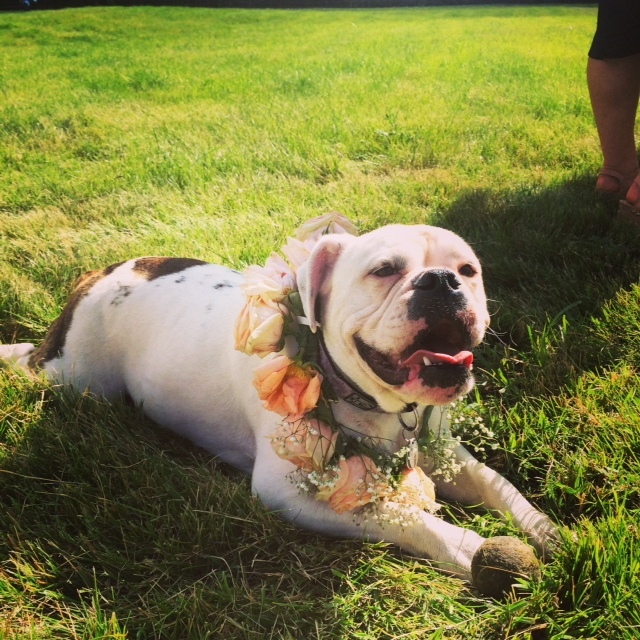 tailgating pre-wedding service, the most unforgettable flower girls and pooch ring bearer, fireworks, roasted s’mores for dessert! ), I’ve had weddings on my mind and all the surrounding details, from beginning to end. 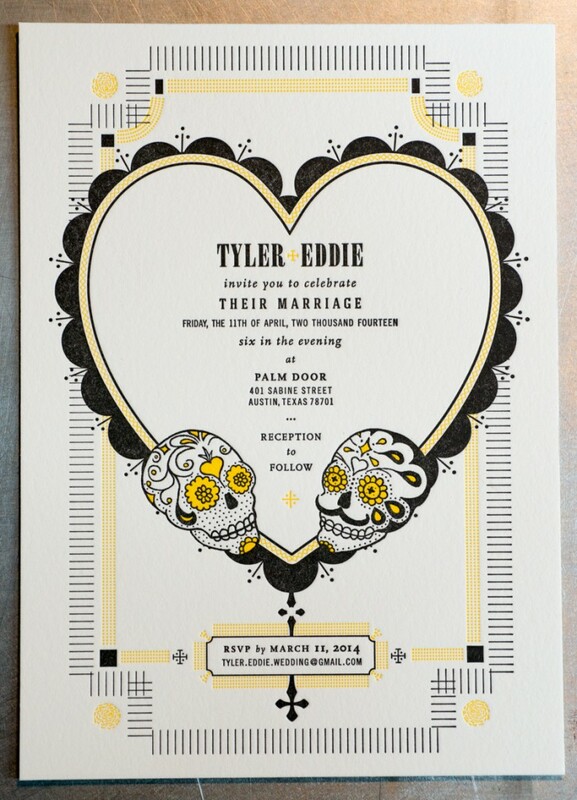 So grab a pen and paper, you bride and groom to-be, and get ready to take some most likely needed notes! 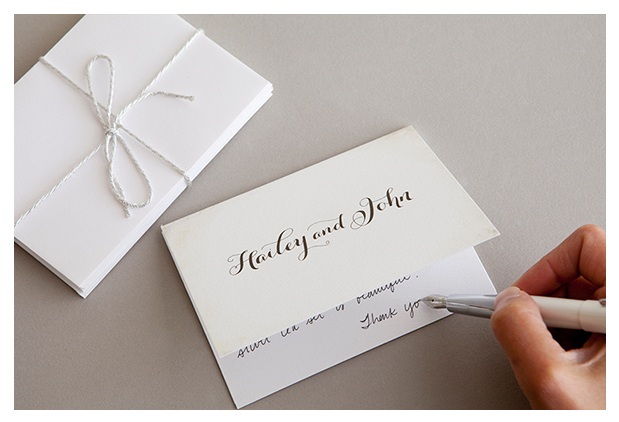 The international master of calligraphy and fine stationery, Bernard Maisner (the Editorial Director of Martha Stewart Weddings, Darcy Miller, used Maisner for her wedding invitations). 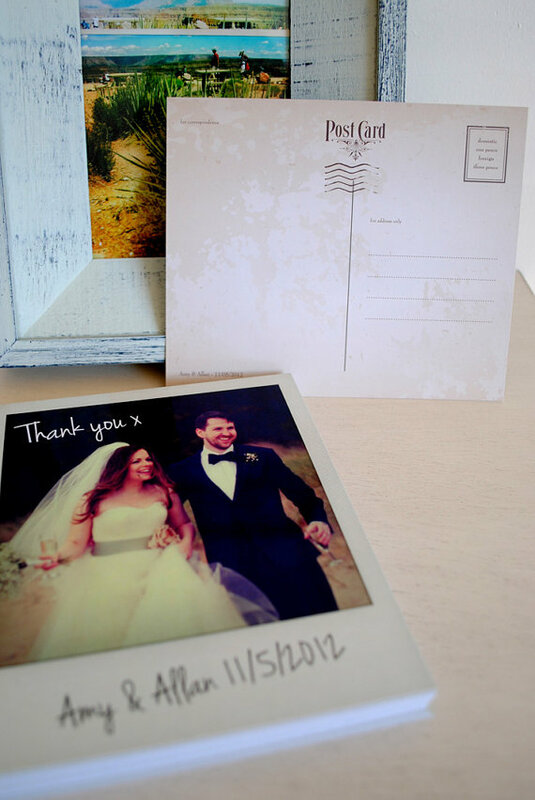 …The rush of the event keeps the bride and groom rolling full steam, but often the arrival of the dreaded Thank You note can kill the fire. However, this doesn’t have to be the case. Keep it simple with the following suggestions, with help from our friend Peggy Post, great granddaughter to the Queen Bee of etiquette. 1. 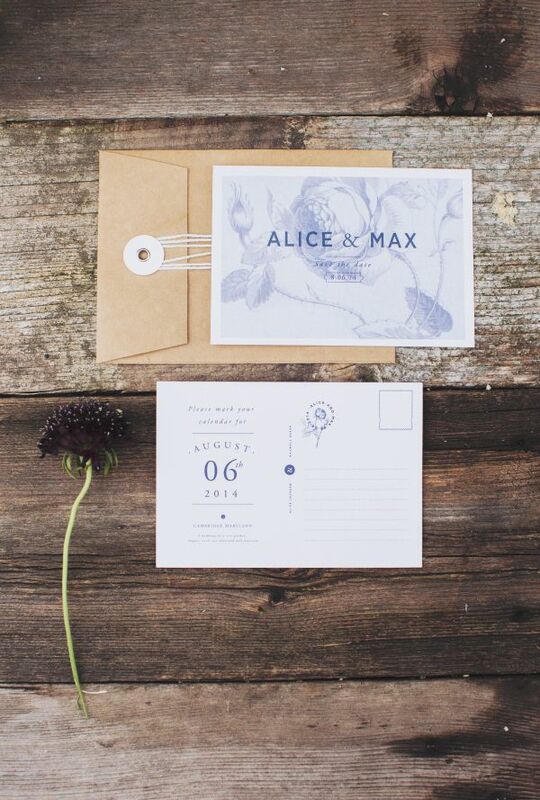 Every gift or act of kindness deserves a handwritten card, no exceptions. This list should include people who give money, your attendants, friends and family who entertain for you or house your guests, vendors who go out of their way to make your wedding memorable, and even Uncle Tom who will supervise the parking at your reception. These individuals matter. 2. Respond in a timely fashion. Ms. Post feels ideally you write the note on the day you receive the gift. Possibly set a goal to write three or four notes a day. Do remember, the accepted standard is to write and send a card within three months of receiving a gift. But don’t make yourself crazy with the thought of writing each day especially leading up to the wedding! 3. Share the responsibility. We live in a modern society so why not work as a team to write these notes together. 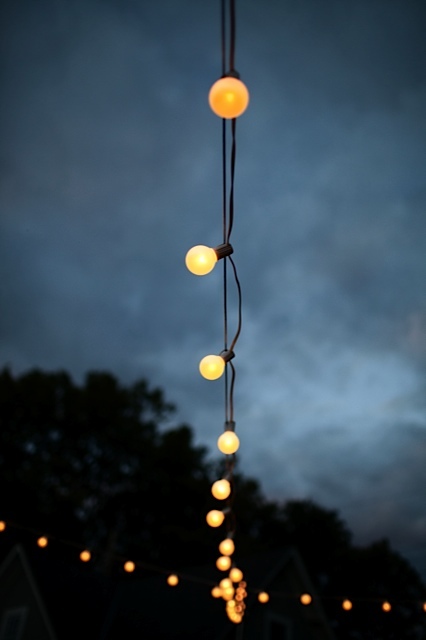 Open a bottle of good wine, light candles, play music, laugh about moments from the wedding. And be sure to include a signature from both individuals. 4. No shortcuts. Signing a store bought card or writing the same message to everyone does not cut it. The notes people remember are the one which express your heartfelt feelings. Be thoughtful and considerate. Tip: look at the gift when you are writing the letter for inspiration. 5. Be sure to pick up some kind of return address stamp to move the addressing along. 6. And a little additional suggestion from Mrs. Brown here, keep your Thank You list and notes in one location, maybe even a basket or bag with pockets for pens, stamps and cards. This way you can write on the fly. Stop at a coffee shop with your spouse before work, sit at picnic table at a favorite park or plant yourselves at a location meaningful to you both. When were married, we simply ordered plain Thank You notecards (with a touch of the wedgewood blue from our wedding theme, wowza were we into details) through the old Dayton’s (cue to weep!). But nowadays there are many options. Polaroid Photo Wedding Thank You postcard from Marty McColgan. Although Peggy Post believes one should not include a wedding photo or photo card, if this will delay sending notes, I tend to disagree. I feel people enjoy a reminder of the day through an image. 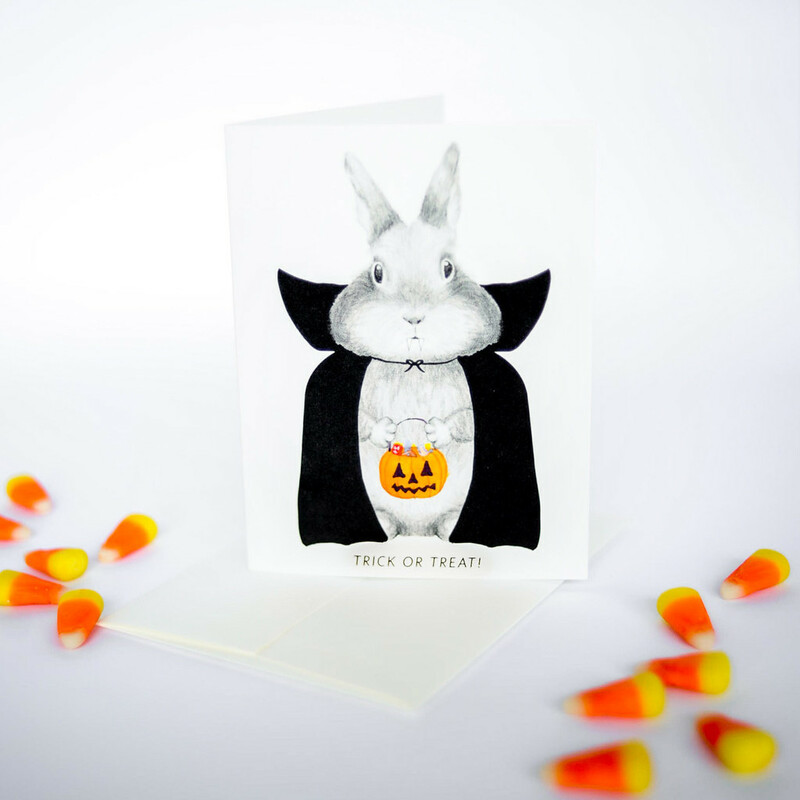 I’m especially fond of the greeting cards from Prinstagram. With the ease of using your Instagram account and the high quality card stock and envelopes, it’s a done deal. My friends Beth and James are considering the above photo to use for their Thank You notes thru Prinstagram. It captures a blip of a moment which most guests didn’t catch yet holds the energy of the evening and the sweetness of the couple. Be authentic. Be you. I’m alive and well, fellow readers!! Aside from a quick trip over to Paris with Mr. Brown (more on this next post) life has been jam-packed as we make the final tweaks to the Brown Ink Paper Goods online boutique, opening soon. My time to blog these days has been spotty, but eventually this will change. For now, I’ll be highlighting my favorite topics every Wednesday to keep you up to speed on interesting points in the writing world! 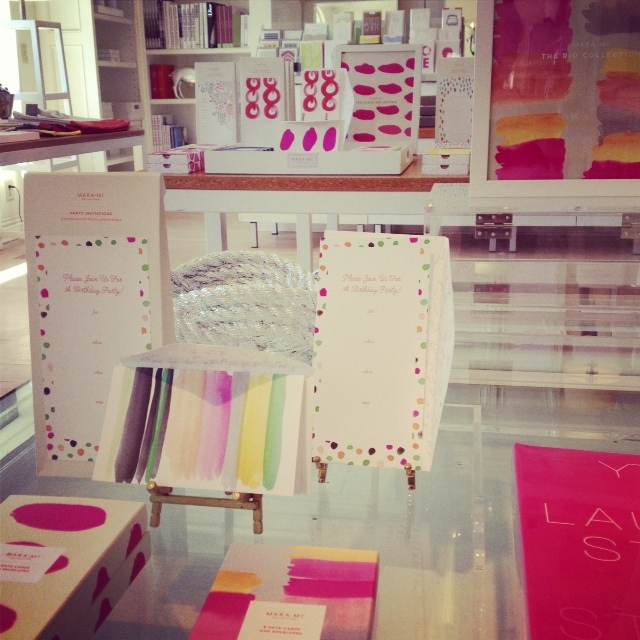 First off, check out the new blog from the founding editor of Stationery Trends, Sarah Schwartz, called The Paper Chronicles. 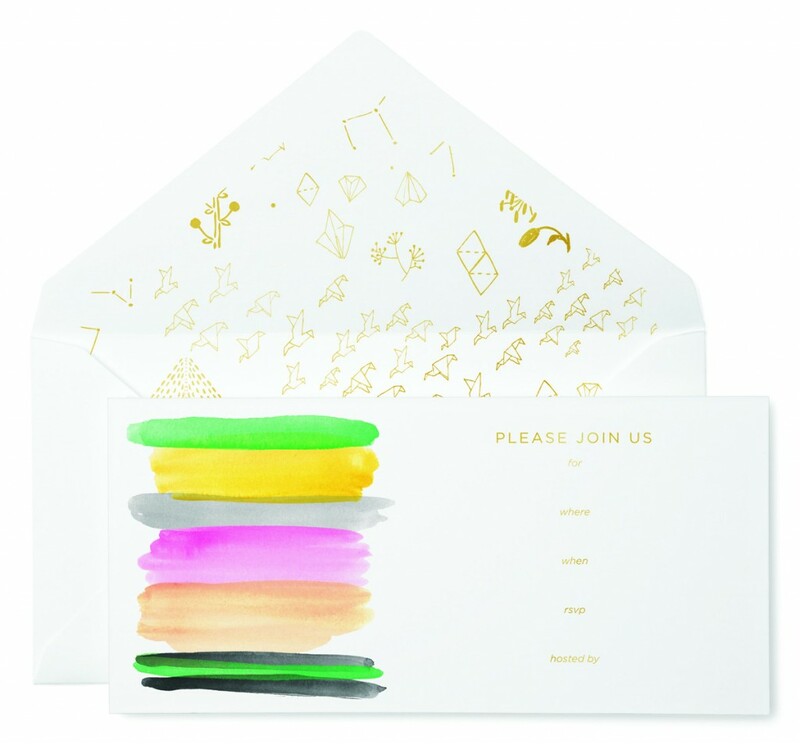 For a paper lover like myself, this blog is fabulous for introducing new lines and connecting with those who appreciate the handwritten note. Congrats Sarah! Speaking of new businesses, these letterpress business cards from The Beauty of Letterpress are out-of-sight. Crazy about this one, numbered and perforated. So original. My in-laws, Sally and Jim, just returned a few weeks ago from a month long trip to Alaska. Sally, a big fan of handwriting, sent numerous postcards to our family. We loved hearing about their adventures through writing and pictures of wildlife they came across. 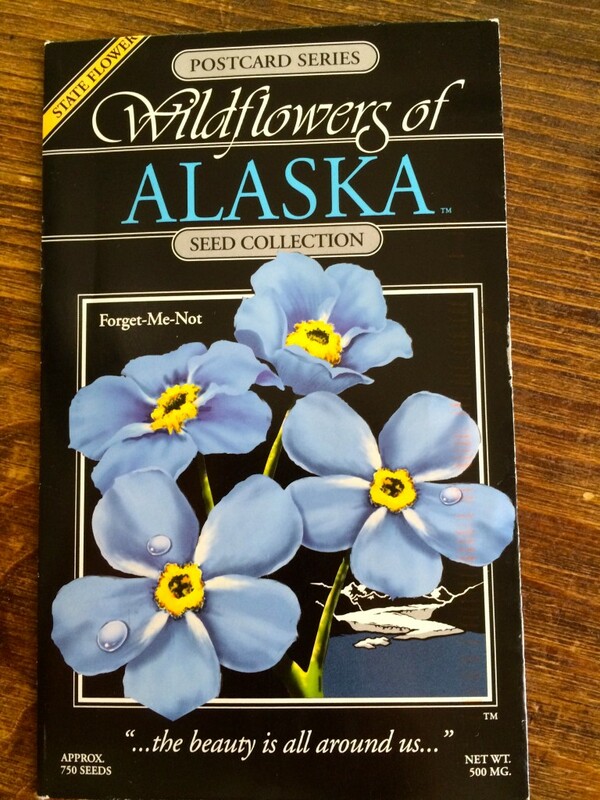 I was the lucky recipient of a postcard full of the Alaska State Flower Forget-Me-Not seed. Love. To celebrate its first birthday, Olive Box has come out with a stationery box filled with beautiful greeting cards for every occasion. Perfect for a gift or to have on hand! 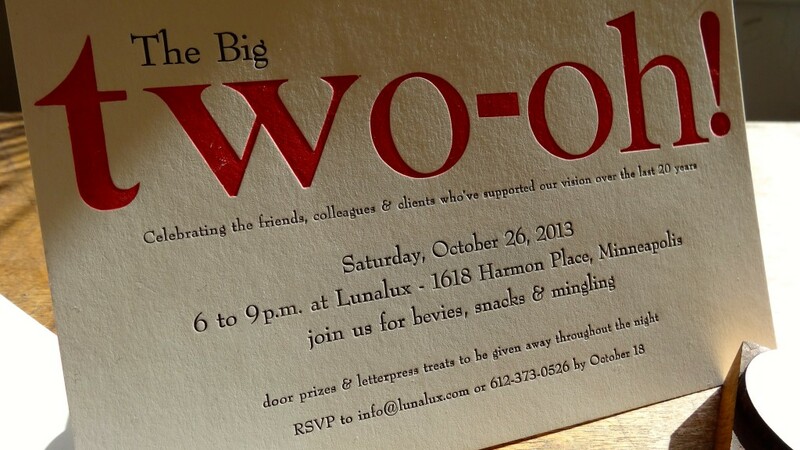 For you local folks, it’s the 20th Anniversary of Lunalux, my favorite letterpress printing and stationery store in the Twin Cities. 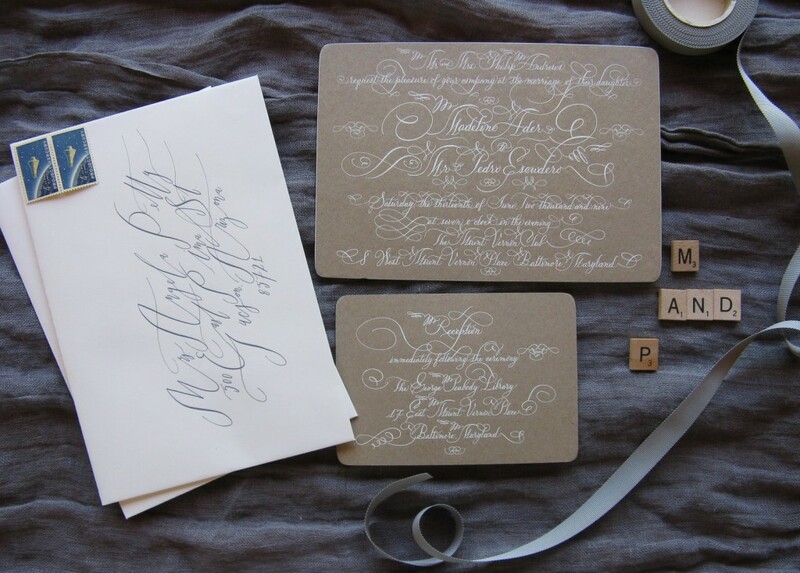 To comemmorate the anniversary, they created a beautifully letterpressed party invitation, printed it on a unique lead and wood type, and added lined envelopes to boot. Make sure to stop by next Saturday on Customer Appreciation Day with 20% off products. 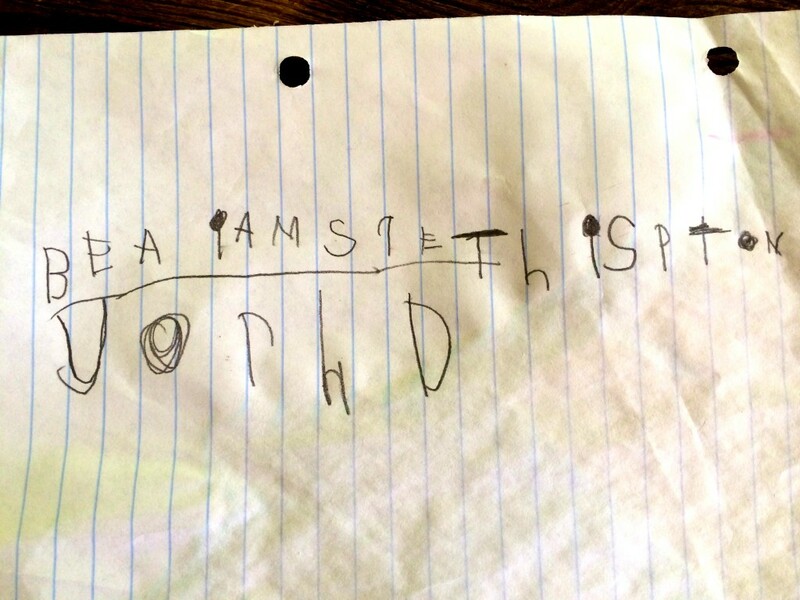 Finally, a word from my son Oliver. The other day he needed a little alone time in his room and, with no direction from his parents, returned downstairs with this note in hand. Translation: Bea I am sorry I spit on your head. Priceless. My co-pilot and I are opposite when it comes to blogging. He has the wit, and at times bizarre, inside-baseball kind of humor. Me, I’m more practical and sing-songy. Nick handwrites all his posts before logging in and I, on the other hand, need to type when organizing my thoughts (I realize, a bit anti-Brown Ink). Nick stores all his ideas in his head. For me, I collect ideas and store them under a specific category using my awesome filing system (with the help from russell&hazel file folders). Funny enough, even with well-intended folders spilling over with post ideas, for me it always comes down to what feels fresh at the time. I often wait for the right topic to knock me over. So this past week, buried under stationery catalogues while narrowing down the goods to premiere on Brown Ink this fall (so excited!! ), I had no time or room to let an idea surface. But leave it to a morning run to solve or at least sort out my present problems. 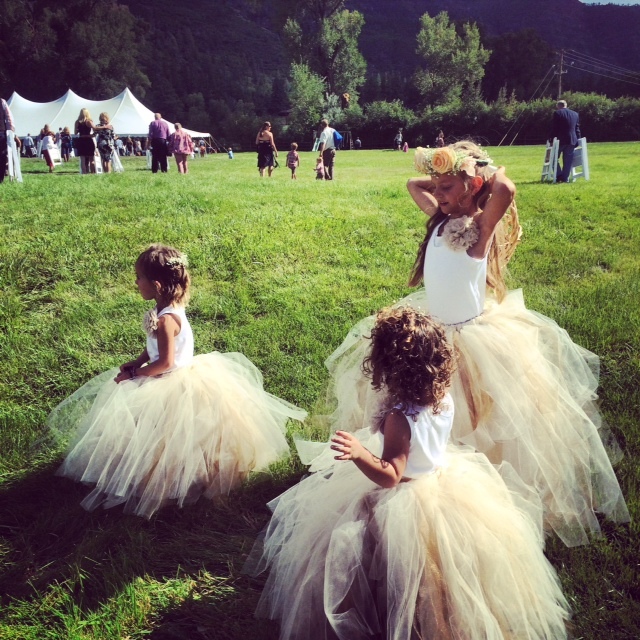 Summer humidity finally arrived and out came my need for a summer party…voila. Who doesn’t love a little social gathering in the heat of the season!?! 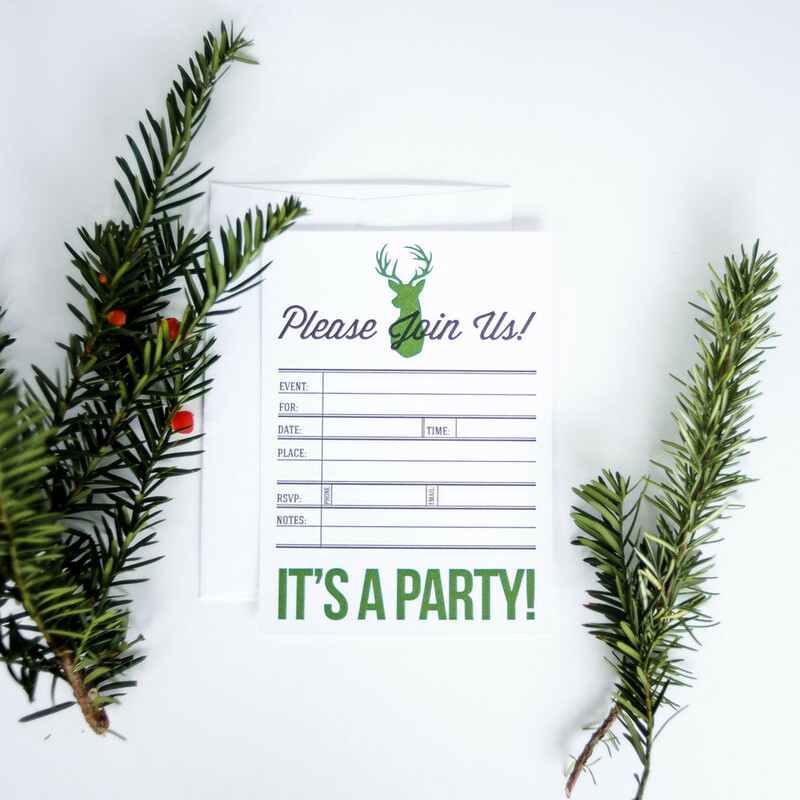 Take the time to handwrite an invite! 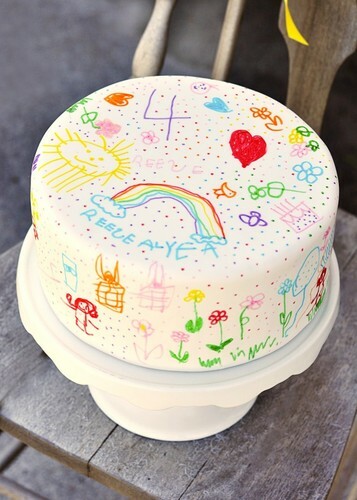 I used these invitations from MARA-MI for a Bon Voyage party for my neighbors this spring. 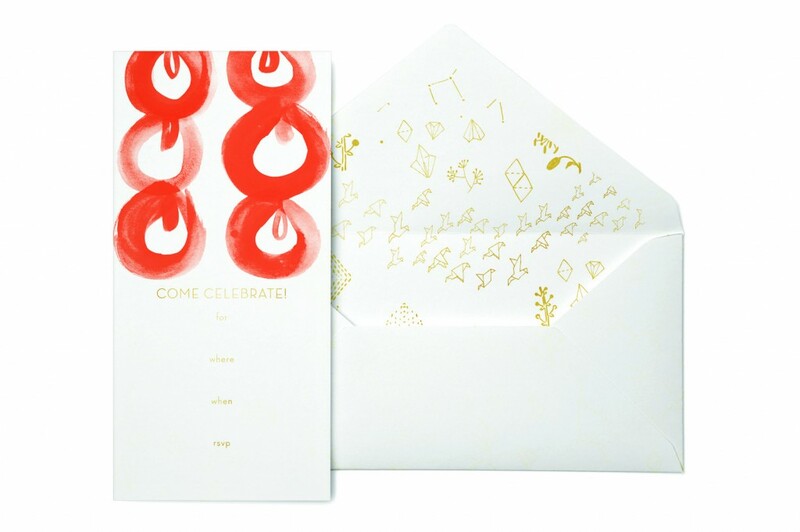 I adore the origami and gold foil print inside the envelope. 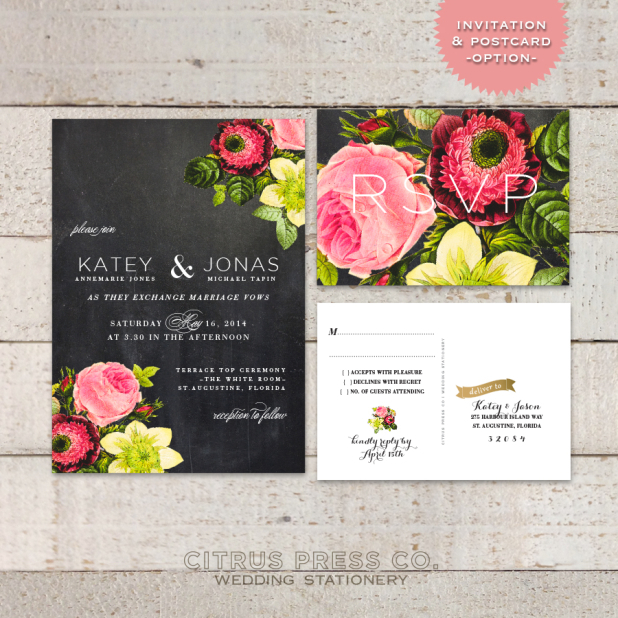 Rifle Paper features a beautiful party invitation which can be used for many occasions. Use this nautical, summer themed gift tag from MARA-MI with a bottle of bubbly for the host. 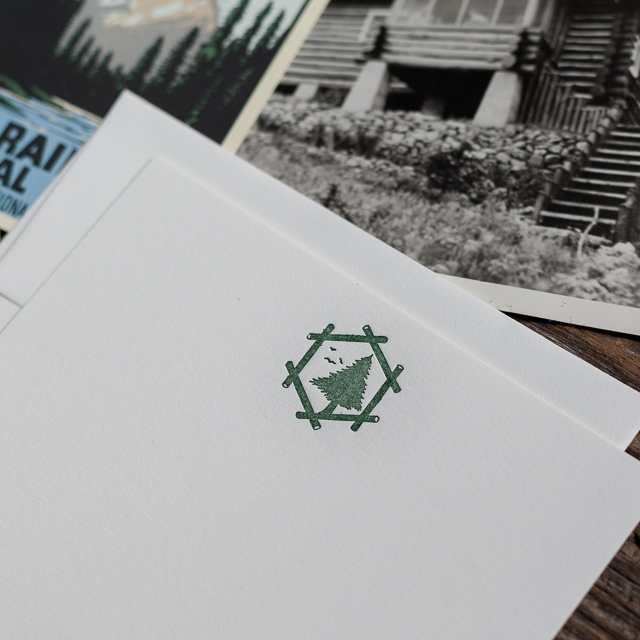 Make your drinks labels stand out and feel festive with a celebratory stamp! These chic, neon coasters from Haute Papier use an added touch with the letterpress handwriting. 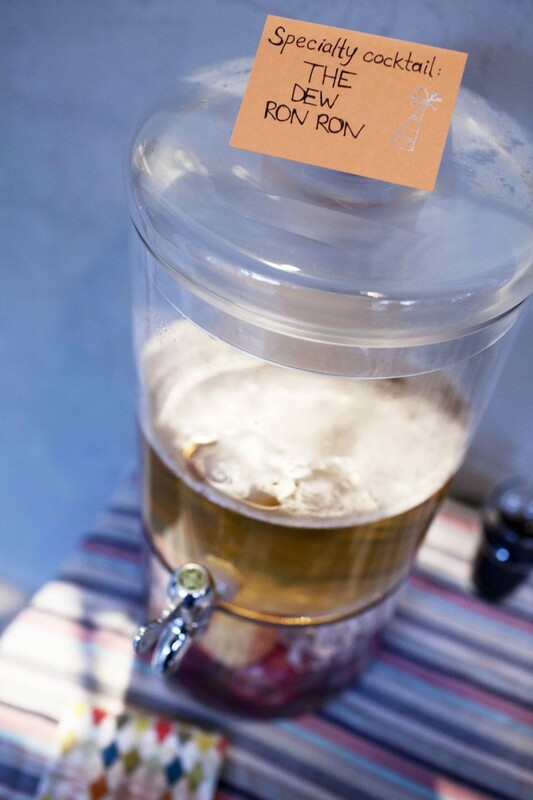 Find a way to make a statement as your guests arrive. 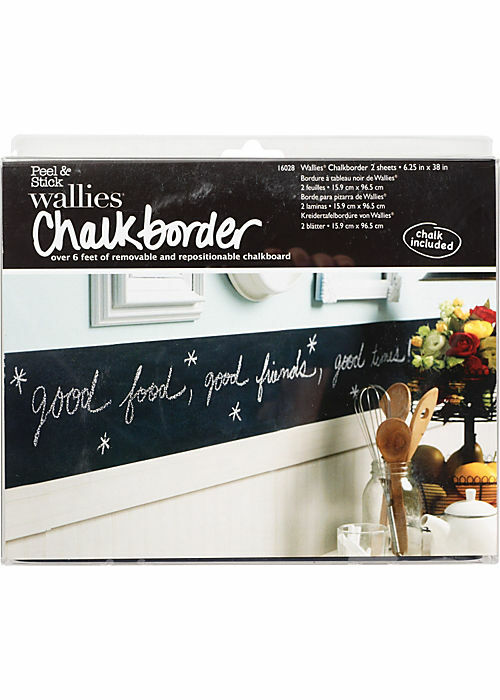 A good friend of mine welcomed her friends by using chalkboard paint in her front entrance. An easy feel good. Of course, if your party has many people chatting it up with one another, they will love the napkin notes for the last minute thought, much easier than digging for you iphone to message yourself. 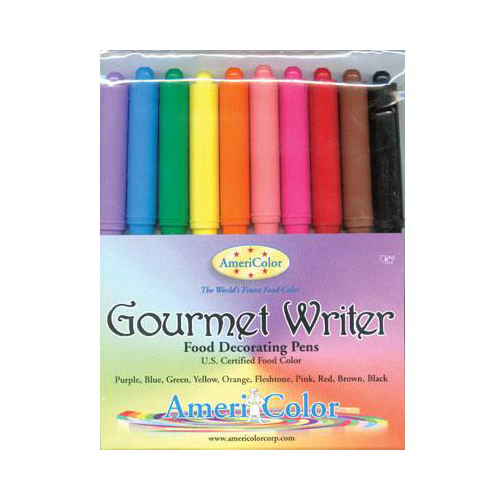 With these food writing pens, your handwriting is actually edible! If you’re not a big Thank You note writer, make it simple by shooting a photo with the host and send a card using ink, Felt, RedStamp, or Postagram, all phone or tablet apps which send an old-fashioned written card, on real paper, delivered by a mail carrier. All before you exit the party. 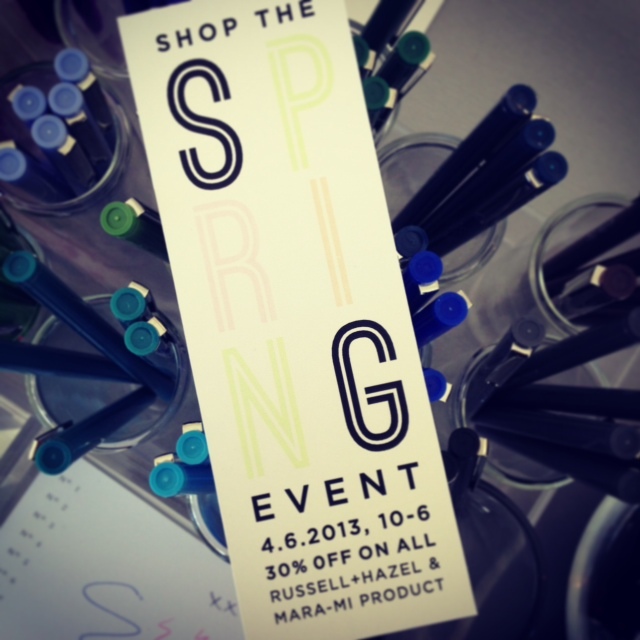 Held exclusively at their flagship store on 44th & France, russell+hazel is hosting a 30% off event on all r+h and MARA-MI products. I plan on picking up a few pencils, stationery, and party invites. This is a fantastic deal and also perfect timing with the beautiful and fresh MARA-MI Reo Collection hot off the press. 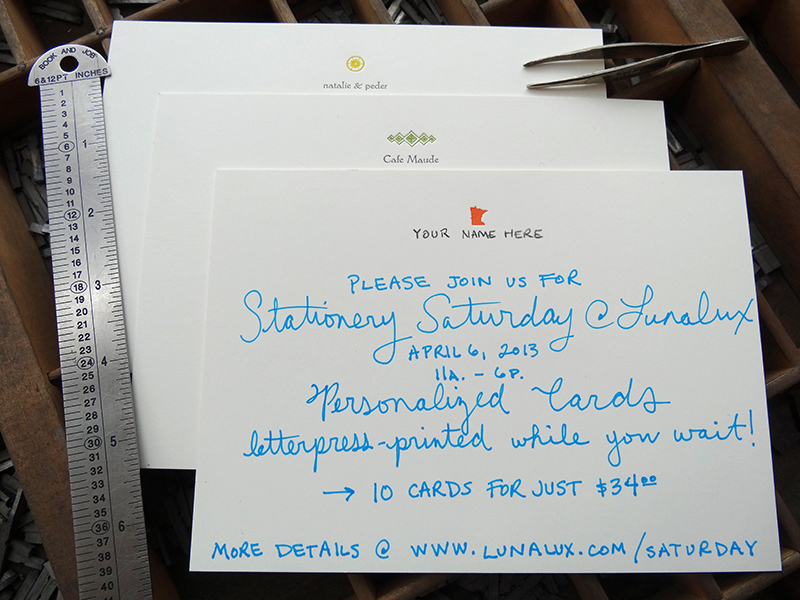 Also, if you are near downtown Minneapolis (Brown Family headed to The Walker Art Center’s Free First Saturdays to check out our favorite children’s author, Chris Monroe), make sure to stop at Lunalux for the ever-popular Stationery Saturday. 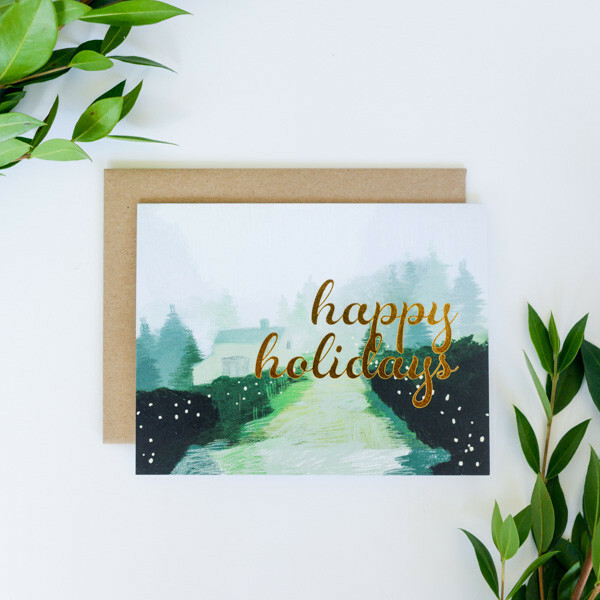 This month Jenni Undis and her crew will be helping you create personalized, letterpress printed stationery with lovely ding bats (love the state of MN) to bring home the same day. An early Mother’s Day gift, perhaps? 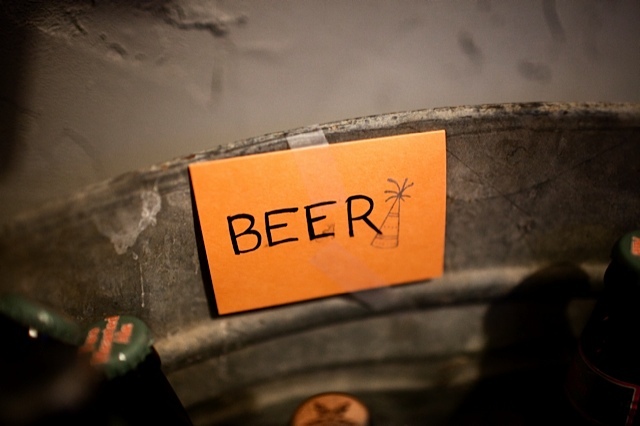 So get out there in the midst of some needed spring rain and support our local peeps. And for all you Los Angelianos, don’t miss our locally created NorthernGRADE National Pop-Up Shop hosted in your town this weekend. At least go for the paper products if not the hip facial hair.